In honor of our favorite CIA television show, Homeland, Tom Secker and I have decided to cover every single episode with a separate podcast. We’ll be switching off hosting duties every other week. In this inaugural episode, we take a brief look back to where all of our favorite characters left off at the end of season 4. Jumping ahead two and a half years, we see that Carrie has left the CIA, Saul has been promoted, and Quinn seems as crazy as ever. Tom and I discuss the new setting of this season, Berlin, and the implications of locating it in Western Europe. We also get into some of the major plot themes being laid out including: Edward Snowden, mass surveillance, ISIS and the threat of Islamic sleeper cells all over Europe. We break down how this season seems geared towards more of a niche audience immersed in the intelligence world, and round out this episode with our predictions for the rest of the season. The persecution of journalist Barrett Brown has reached a new level of insanity, as both he and his lawyers are gagged from speaking to the media. 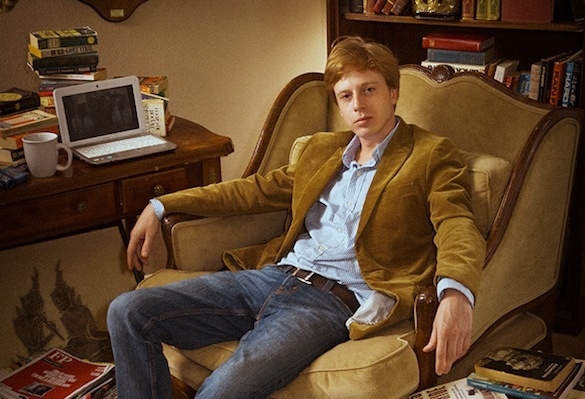 If your not sure who Barrett Brown is I would urge you to start reading about him. Brown faces 105 years in Federal prison for his work in exposing the shadowy post 9/11 network of private intelligence firms in the United States. His research covered much of what Snowden revealed; who now sits comfortably in Russia while Brown languishes in prison. Browns connection to the recently assassinated Michael Hastings should also raise eyebrows for anyone concerned with privacy and the shadow government. The fact that the government has now made it impossible to know about a case that no one was really aware of should be ever more troubling. If you are interested in learning about Barrett Brown I would start with the amazing articles being put out out by WhoWhatWhy.com Christian Stork has been relentless in his coverage of both Barrett Brown, and the connections with the assassination of Michael Hastings. Secondly I urge everyone to visit Cryptome.org daily for leaked court documents on the Barrett Brown case. Quick side bar, Cryptome.org is the most valuable resource on the internet. For years they he been putting up thousands of documents leaked to them on intelligence, spying, Internet privacy etc. And unlike Wikileaks they are not media whores with a political agenda. No one has been prosecuted for leaking highly classified documents to Cryptome, unlike Bradley Manning. FreeBarrettBrown.org is also a invaluable resource to check out. You can also help Brown by donating to them to help with his legal funds. Lastly I would go and check out Project PM, the wiki that Barrett Brown created to help researchers understand the documents that were leaked to him on HP Gary and all the other private intelligence firms involved in spying on Americans. The link to it is still active but I suggest searching for it on Startpage.com and then viewing it through their proxy service IxQuixk. This will protect you from being spied on by the government thugs. As always you can always keep updated here at Porkins Policy Review and with my twitter account @PorkinsPolicy. Just click the follow button at the top left hand side of the web page. Also look out for an upcoming podcast were we will delve deeper into Barrett Brown an his struggle against the security state. Here is another admission of the shadow government that rules our lives. Yes that is the allegedly democratically elected President of the United States admitting that he doesn’t actually know what the NSA does. Instead he reads the news like so many of us to figure out what the NSA does, and then goes and ask’s the NSA if there is an validity to the news reports. Ladies and gentleman of Amerika, our “elected” leaders are merely puppets of a shadowy cabal which seeks to control every single aspect of your lives. When the President of the United States doesn’t know what an intelligence agency that is under his command is doing we are living in very scary times. This is an update to both the NSA spying scandal and my recent podcast on it. It seems that the public by and large is still very much in dark about the true nature of the Security State and its iron grip on America. While many have just woken up out of the daze of the controlled media propaganda about domestic spying, on the whole most do not truly understand just how far the Security State has come in the past decade. The official narrative has been narrowly focused around the use of NSA data mining of Americans digital communications. While reprehensible, this is merely a government smoke screen designed to shift attention away from the true scandal. The scandal being of course that the shadow government (NSA) is collecting EVERYTHING that we say on the internet and on our phones. As I stated in my recent podcast this has been know since the early 2000’s thanks to the courageous work of whistle blowers Mark Klein and Russel Tice. Following the government script this is simply not spoken of whatsoever in the corporate controlled media. 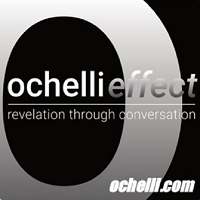 Russel Tice recently gave an interview to both Boiling Frogs Post and the Corbett Report in which he exposes that the NSA was wiretapping everyone from key Congressional and Senate leaders from both parties, every Supreme Court Justice, Bush’s press secretary Scott McClellan, General David Petraeus, to our current great leader Barack Obama. What does this mean? It means that all of these individuals can or are being blackmailed to some degree. As Sibel Edmonds recently stated in an interview, the more dirt on these people the better they are for the government. They will not expose the criminality of the State for fear of the retribution that they could face. According to Sibel Edmonds she witnessed blackmail being used numerous times by the FBI as political leverage against Congressmen and other government officials. This is the scandal. Not data mining or any of the other red herrings that have been put forth, which have coincidentally taken the spotlight off of the recent scandals such as the AP syping, Bengahzi, IRS, and collaboration between the West and jihadists in Syria. What sort of skeletons does NSA director General Keith Alexander have dangling over the heads of government officials. Was golden boy and possible GOP presidential candidate General Petraeus’ only “crime” sleeping with Paula Broadwell? Or was there perhaps something else that Emperor Alexander had on him? This poses an even more disturbing question about who truly controls the United States of America. Is it the president? Or is it instead people like Gen. Keith Alexander who has access to all the dirty secrets of our government overlords? President Obama himself made a veiled allusion to this during his press conference regarding the exposure of the PRISM program. He said that when he leaves office he could certainty be a person of interest to whomever becomes president after him. This in turn reveals the futility of those who vociferously advocate “electing the right people into office.” It does not matter who sits in the oval office or in the senate when there are criminals such as Keith Alexander listening and watching everything you say and do. All is not lost though. After Russell Tice’s interview on Boiling Frogs Post exposing the real scandal, several mainstream outlets such as Huffington Post, The Blaze, and BuissnessInsider did in fact do there job and report the facts. This is a small but significant development in the fight for liberty here in America. The more people are exposed to the truth and reality of the Security State the more powerful we as a people become. We can not falter in the face tyranny and acquiesce our liberty to the criminal gangs that run our country. Please spread this to everyone you can. It is our job to bring forth the truth. We can not rely on messengers and messiahs to help show us the way. IBM or Amazon? Who will the CIA choose?